You’re now ready to launch the editor for the first time. 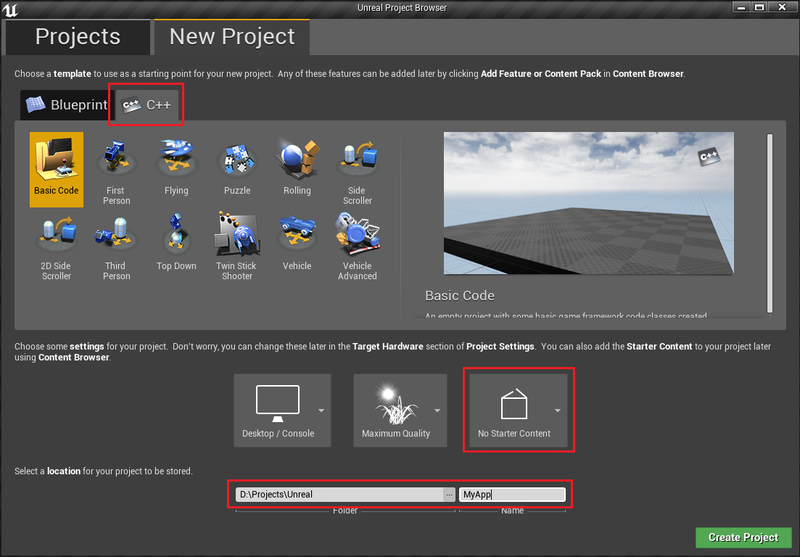 In the Solution Explorer, right-click the UE4 solution and click Set As Startup Project. Now hit Control-F5 to launch the editor. You may get a notice that some files are out of date. Press Yes to rebuild them. After a moment you’ll see the Unreal Editor loading bar. It’ll take a few moments, then display the Project Browser. Click on the New Project tab at the top. There are two types of Unreal projects: Blueprint, and C++. The ZED Unreal plugin does not work with a Blueprint project, so click on the C++ tab. Then select “Basic Code”, select “No Starter Content”, enter in a folder and name for your project, and click Create Project. 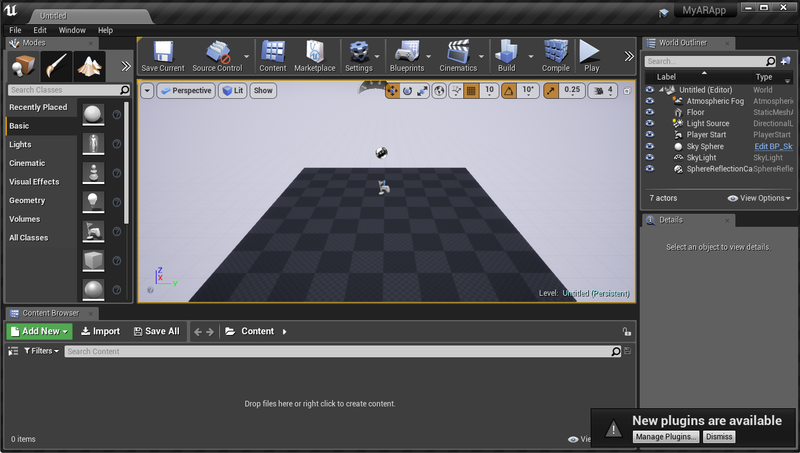 After generating some files in the editor window itself, Unreal will launch a new instance of Visual Studio. 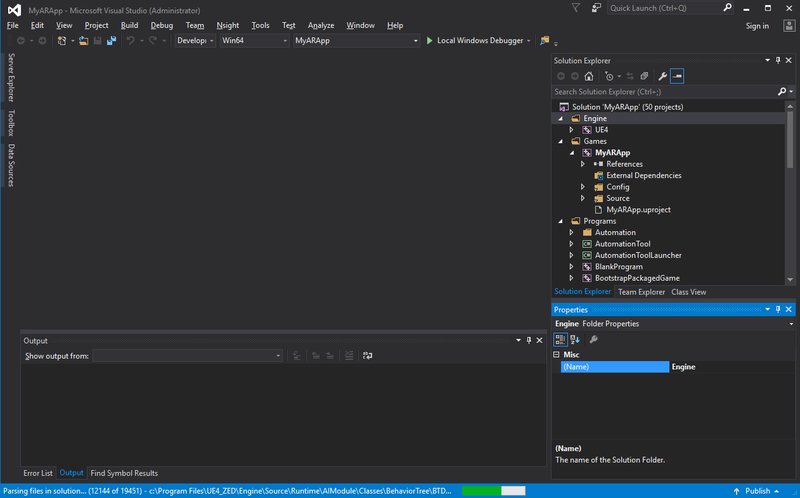 You should now have two Visual Studio windows open. In the new instance, you’ll see at the bottom that the editor is parsing your files. Wait for this to finish - it’ll take around five minutes. Hitting Control+F5 will open your project. But we’re not ready for that yet - we have to add in the ZED plugin. Instead, close this instance of Visual Studio. Go to your new root project folder. Create a new folder called Plugins. Now you’ve got to build files for the project with the plugin inside it. Go back to your root folder, and find a .uproject file with the same name as your project. 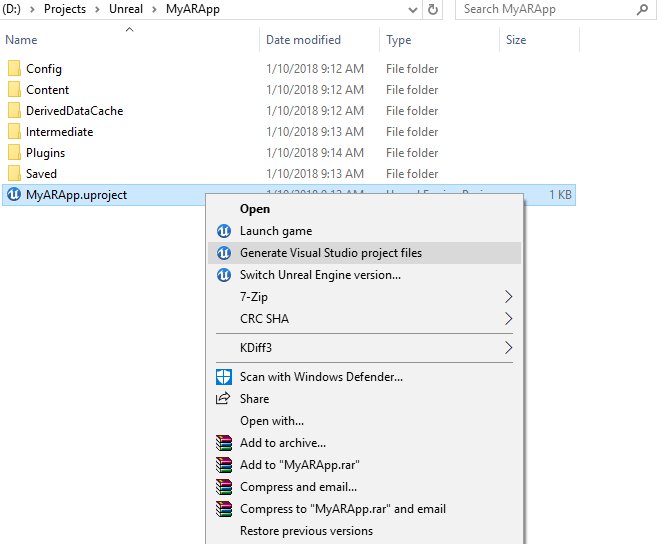 Right-click it and click Generate Visual Studio project files. You’ll see a loading bar for a few seconds. 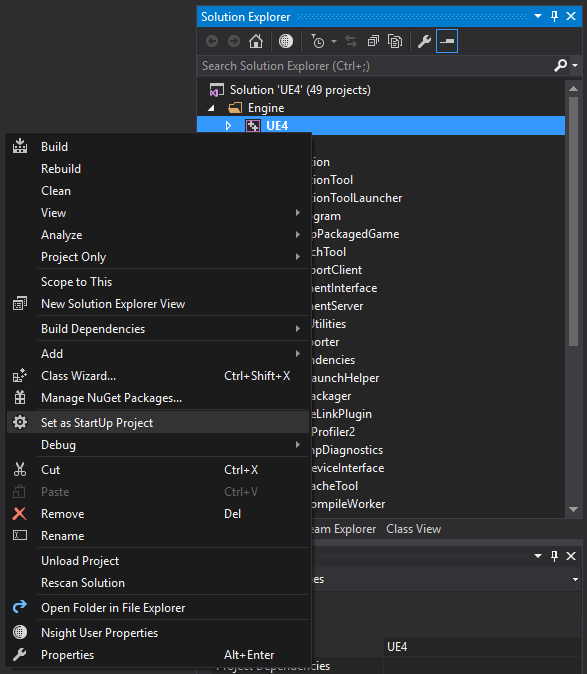 Double-click the .sln file in that folder with the same name as your app to open Visual Studio again. Hit Control-F5 to open your project. This is how you’ll get into your project from now on. If you get any messages saying that your modules or plugins are missing or out of date, and offering to rebuild them, click Yes. 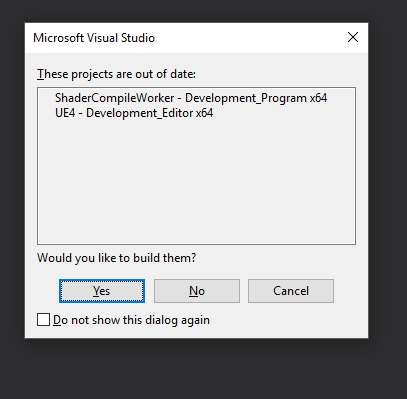 If the app fails to build, try re-opening Visual Studio as an administrator, loading your project’s solution and pressing Control-F5 again. Shortly, you’ll see an Unreal loading screen with your app’s name on it. 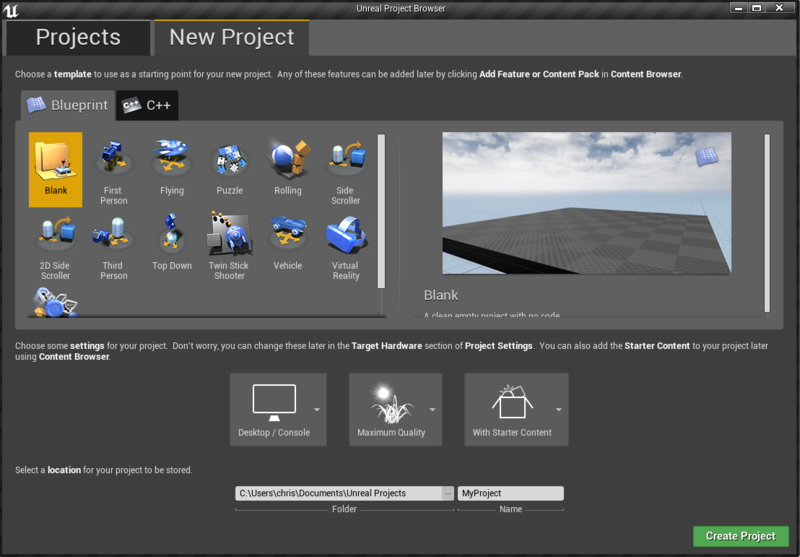 After one more quick wait, you’ll see the Unreal editor with your project open. This is where the magic happens.